Kauai, Maui, Sunny March Weather in Seattle! Oh My! Yesterday, we had some beautiful sunny March weather here in Seattle. I was actually out on my back deck enjoying the sunshine and working on my suntan. It must have been about 65-70 degrees out. Even after we “sprung” ahead into Daylight Savings Time, I got some stuff around the house accomplished. So spending a few minutes on the back deck with my wife and daughter was a treat that was well deserved. We usually, have pretty gray weather around here in March but not lately. Last week, we went hiking in the sun. I have been able to preserve my Hawaii tan for a lot longer than I thought I would. Yes, dear readers, I was gone for two weeks to Hawaii in February. 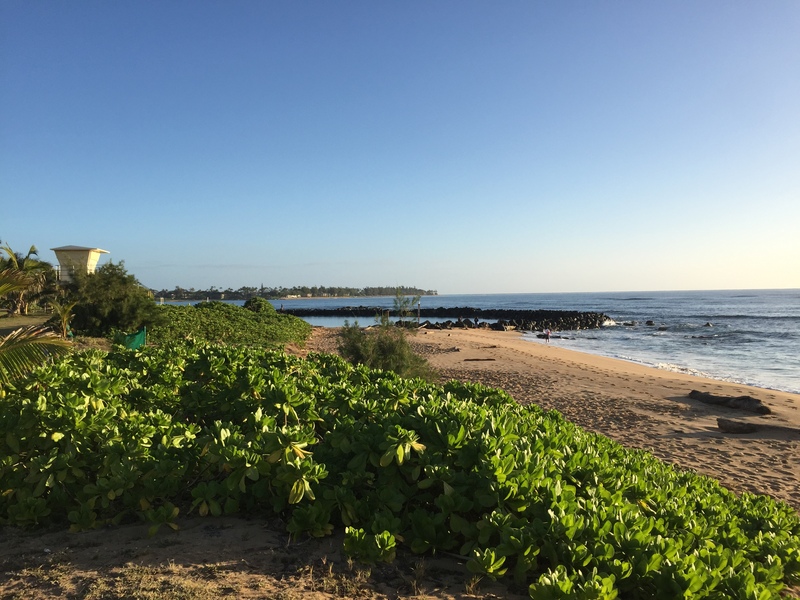 I spent a week on Kauai with my daughter visiting my parents and then we flew to Maui and join my wife and my son for another week. Life is rough. My last trip to Hawaii was two years ago and that was to Kauai. I haven’t been to Maui in 15 years. To be honest, both are wonderful places but I prefer Kauai. I admit I lean towards Kauai (since I went to school there and lived on Kauai as a teenager). 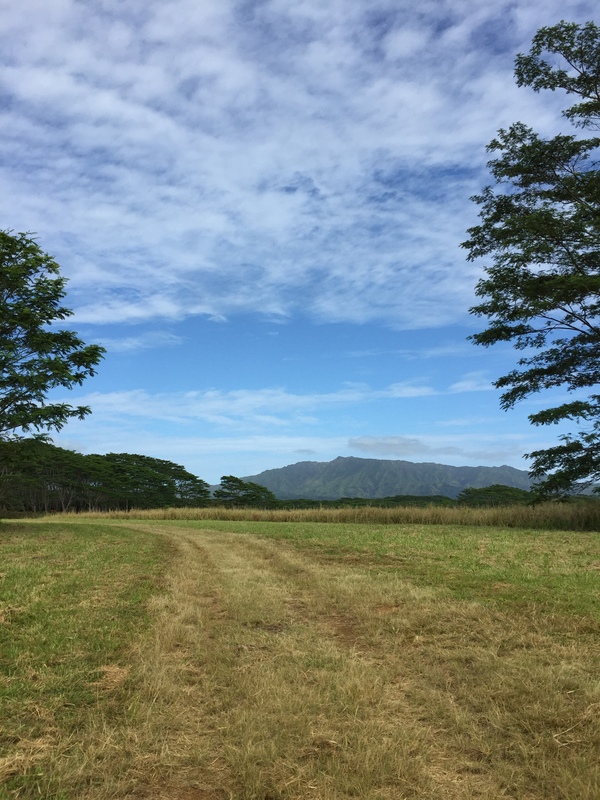 My wife likes Maui because she use to live there. As I always say, Hawaii is a great place to visit but not as fun to live there. What? How can I say that? How can I say Hawaii isn’t an awesome place to live? When you take a vacation, everything is awesome. I’m relaxed, I don’t worry about money, and I’m living in a nice condo resort with hot tubs, swimming pools, and sunny beaches. I picture myself relaxing and drinking every day of my life if I lived in Hawaii. Heck, every time I’m on vacation I think how wonderful it would be to live in Washington, NYC, Eastern Washington, etc. Where ever I am at, I can picture me enjoying living there. My family and I would be hanging out at the pool every day. In reality, you have to work or you would be retired. Ah, retirement. But you would be doing the same thing as you would be doing now. Just in a warmer, humid climate. Now, I’m not turning down the opportunity to move to Kauai or Hawaii in general if someone offered me a job there. Both my wife and I know what it is like to live there. But rest assured dear readers, I’m still a few years away from retirement, I haven’t won the lottery, and my online business hasn’t taken off where I can retire from school photography just yet. Do you have a place you wish you could move to? What is holding you back from moving or even taking a vacation? Loon Lake Vacation: A week of our family together and we didn’t kill each other! 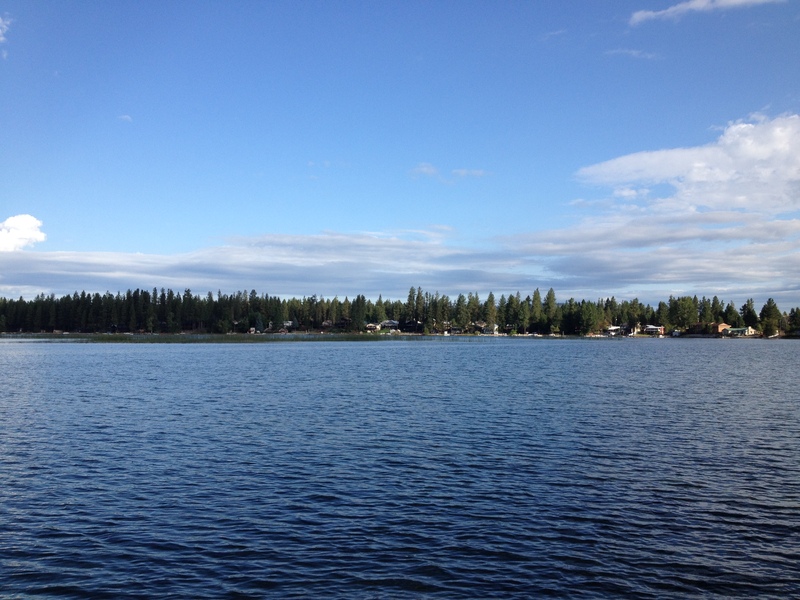 This summer, instead of spending a week on the Oregon Coast, our family went to Loon Lake in Eastern Washington. Sure, it isn’t Southern California with Disneyland but I wanted to go somewhere to read a book, play some board games, swim, canoe, and just plain relax. To be honest, I have never been to Loon Lake but with the handy dandy internet it appeared to be a good choice. Where the heck is Loon Lake? Loon Lake is about 26 miles north of the city of Spokane and an easy drive north from the downtown Spokane area on U.S. Highway 395. As I said before, we have never been to Loon Lake but I did do some research on the internet, asked a few friends (who where from the Spokane area), and it turned out to be a good choice. 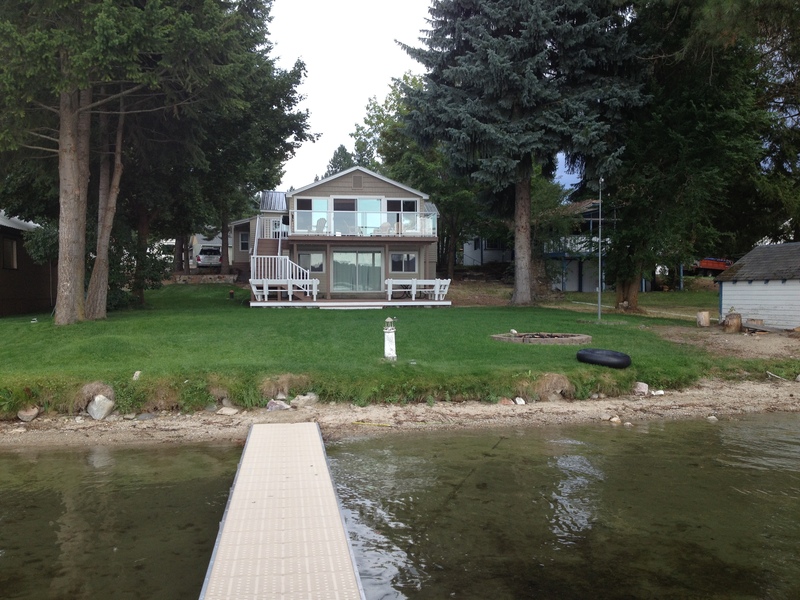 We rented a house right on Loon Lake with the thought that we would have another family come with us. As it turned out, no one else could make it (or maybe they just didn’t want to spend a week with me?). Nevertheless, we had a nice family vacation with just the four of us. The other bonus (of Loon Lake) was our mobile phones didn’t work (no cell signal) and we had no wi-fi/internet at the house we had rented. We were disconnected and it was very nice to be out of the loop. No Facebook, no Google searches, no email; just books to read, games to play, canoes to paddle, and a warm lake to swim in. Our house was located on the east shore of Loon Lake so we had a sunset to admire every night. The weather was a mix of sunshine, rain, and thunderstorms. We had some awesome lightening storms a few nights while we were at Loon Lake. The wildlife around Loon Lake is abundant. 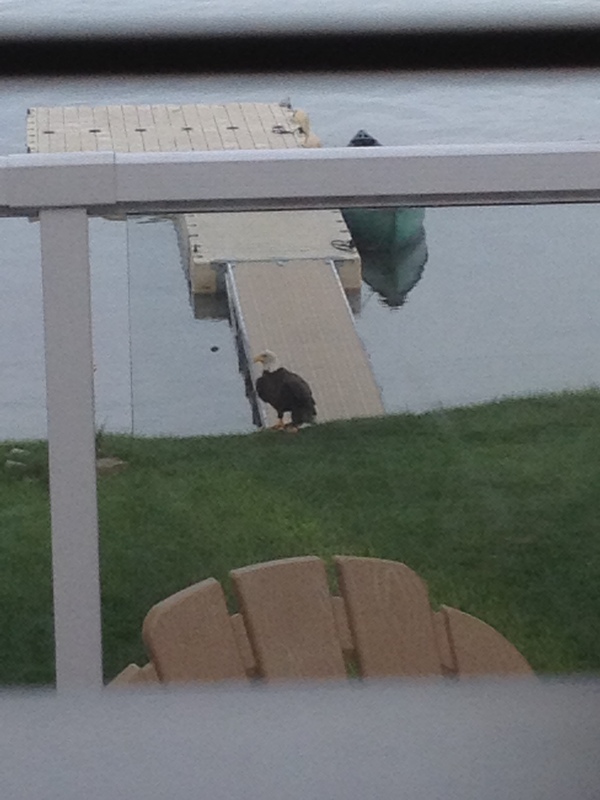 We had a bald eagle that landed on our lawn with a huge fish one morning, lots of ducks, loons, etc. The fishing is Loon Lake is supposed to be very good as well. 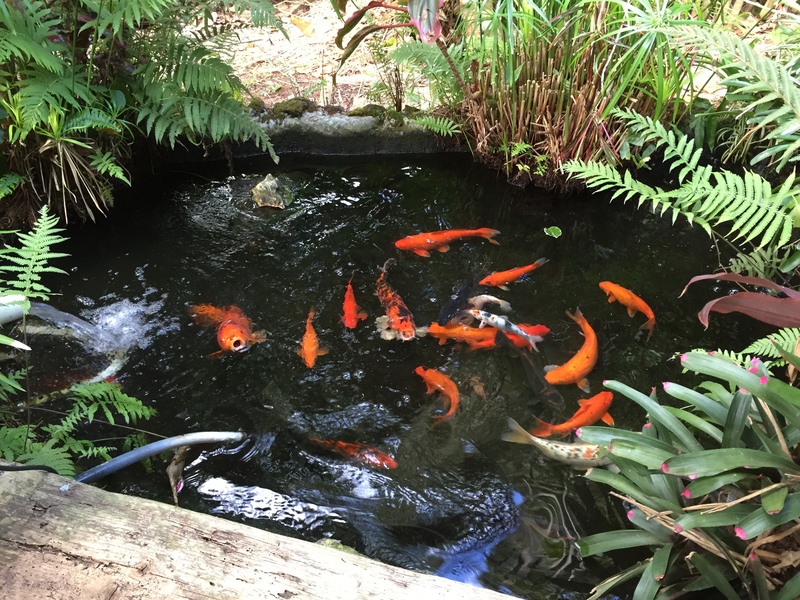 They stock it with silver salmon in the spring and our neighbor mentioned several other kinds of fish. I’m not much of a fisherman, so I didn’t pay too much attention to the list of fish mentioned. One drawback to our vacation house was the lake was a bit shallow off our beach and dock area. You could swim but it took a while for you to get to a deep enough spot to swim. It was only five feet deep 50-75 yards off our beach and it was very mucky (if you put your feet down and tried to touch the bottom). If we come back to Loon Lake, I would like to have a vacation house with a beach with a steeper slope and less muck off the beach. We brought a canoe and this allowed us to paddle out to a swim dock (that one of our neighbors had anchored in deeper water). We had a great time jumping off the float and swimming in the deeper water. In August, the Loon Lake water is very clear and warm. It was warm enough that I wish I had brought along my snorkel gear; I’m sure I would have enjoyed myself for a few hours swimming around. Loon Lake is a fairly large lake at 1,100 acres. It is about 2 miles long and 1 mile wide with a depth of 100 feet at its deepest point. You will see jet skis and water ski boats driving around, but it wasn’t too busy during the week we stayed. I wasn’t annoyed by the noise and most of the time; you can’t hear a ski boat on the other side of the lake. I’m not sure that Loon Lake has a public boat launch or a public beach. Perhaps the lack of a public boat launch keeps the crazy boaters off the lake? If we come back to Loon Lake next summer, we will most likely come a week or two earlier in the month of August and look for a smaller cabin/house if it just the four of us again. The house was too large for us. We will look for a smaller house, maybe one with a hot tub. We would also be nice to have a water ski boat (but I haven’t been waterskiing for about 18 years or longer). Or some loud jet skis! So if you have either, you are already invited for next summer’s Loon Lake vacation.